I love thunderstorms. I remember sitting on my parent’s porch when I was a child and just listening to the rain. It’s always had a soothing affect on me. Chicago’s storms are fewer and further between but no less beautiful. Unfortunately these days I’m very often working or sleeping through these storms and my garden apartment does is so well insulated that even just listening to a storm is next to impossible. Sunday as I was leaving work I got lucky. 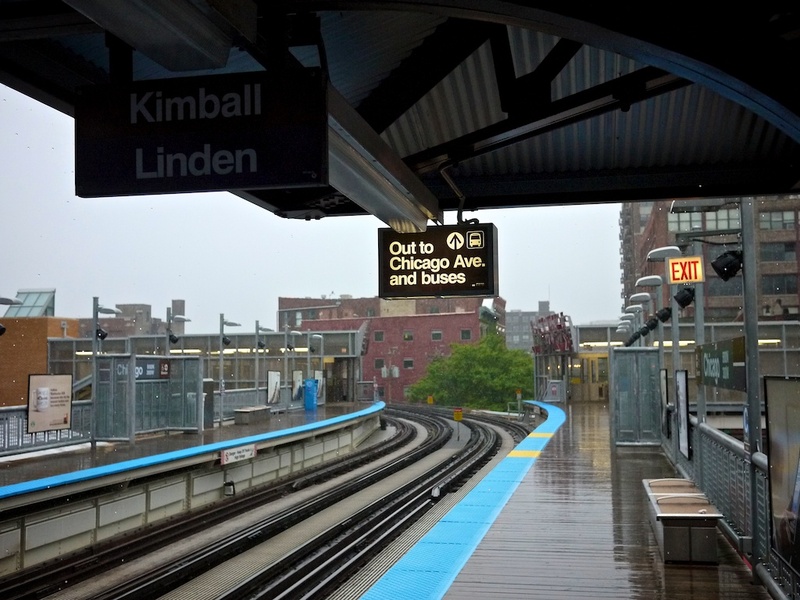 I managed to get to the Chicago Brown line stop just as it started to rain. I took a few moments to just sit and watch the rain and listen to the sound of it beating down on the wood and metal around me. This is my calm, this is what puts me at peace. By the time I got up to my neighborhood the rain had stopped and the sun was brightly shining through the clouds. Moments like these are among my favorites, everything just glistens from the moisture before it completely evaporates into the sun. Yeah, nothing better then a rainy day that gets sunny…love it!